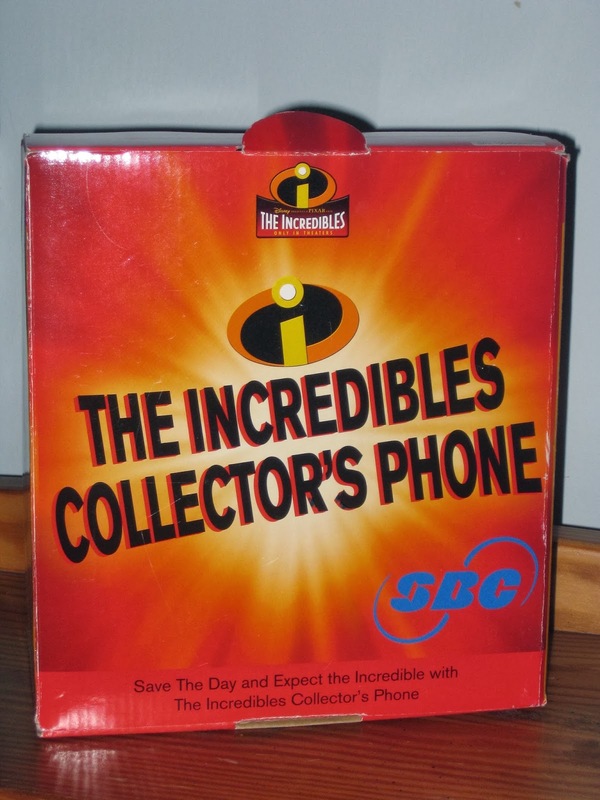 In today's post, we have the extremely cool The Incredibles Collector's replica phone! This was a Christmas from my wife Brita and I was super pumped to finally get it. I'm a sucker for "props" made into collectible replicas from my favorite movies (especially Pixar), so when I saw this last year, I couldn't pass it up. It's from 2004 and I could not believe I never knew about until relatively recently! This phone is an exact replica of Mr. Incredible's phone seen in the film but is also fully functional! It has everything a real phone has including caller ID, multiple ring tones, access to voicemail (by pressing the dot of the i in the center of the phone), etc. The phone lights up and beeps when rings- in the exact way it does in The Incredibles! SO cool. Someday when Brita and I buy a house after I finish school, I'm going to have my study/computer room and that will be my "Man Cave." I'm so excited to do a Pixar theme for it and you can guarantee this will be right on my desk!